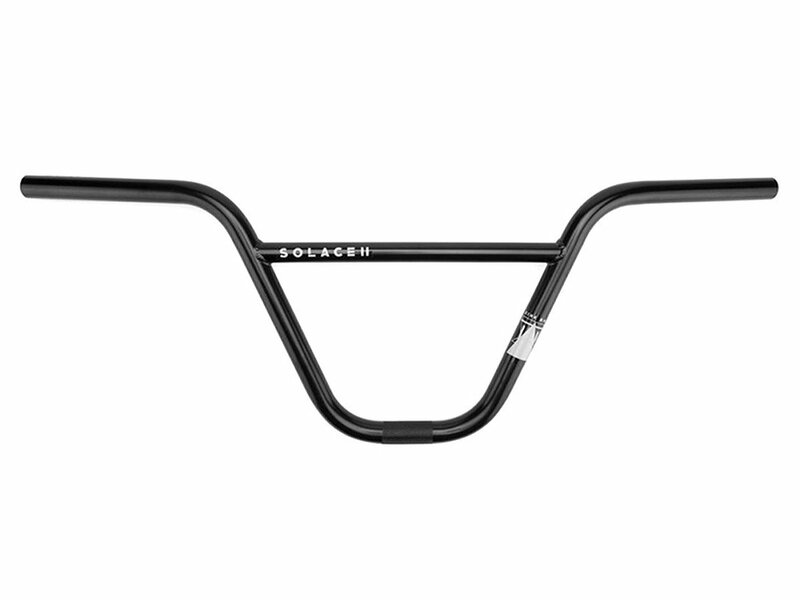 The Kink Bikes "Solace II" BMX Bar is Tony Hamlin’s new signature handlebar that have been re-designed to accommodate his hunger for more pull up barspins. The slight increase in upsweep sets these apart from other Kink bars, at 2 degrees compared to the standard 1 degree upsweep. Like all Kink handlebars, the Solace bars use only the best 4130 chromoly steel material and Kink's TruTherm post weld heat treatment process to ensure maximum strength. The 13-butted tubing design means the bars are thicker in the bends, which adds strength where bars need it most.